You’re reading novel The Demonic King Chases His Wife: The Rebellious Good-for-Nothing Miss Chapter 1226 online at LightNovelFree.com. Please use the follow button to get notification about the latest chapter next time when you visit LightNovelFree.com. Use F11 button to read novel in full-screen(PC only). Drop by anytime you want to read free – fast – latest novel. It’s great if you could leave a comment, share your opinion about the new chapters, new novel with others on the internet. We’ll do our best to bring you the finest, latest novel everyday. Enjoy! "What Honorable Father says, is." Mo Yunfeng respectfully said. "Uh-huh, after Eldest Elder's researched it, he said that this girl's former wound hadn't fully recovered, therefore, the blood's efficacy is greatly reduced. Her wound can be restored by the Divine Spirit Fruit in a short amount of time." Mo Zixu handed over a delicate brocade box, "You go deliver this Divine Spirit Fruit to that girl." Mo Yunfeng stuffed the delicate brocade case in his arms and ultimately still asked the question that seized his thoughts: "Honorable Father, this Miss Su, what kind of manner should we use to deal with her?" Mo Zixu coldly smiled: "This depends on whether she knows how to appreciate favors. If she knows the honor and voluntarily becomes Central Palace's Human Blood Medicine, Central Palace naturally won't treat her unfairly." Once Mo Yunfeng heard these words, he then felt that it was unreliable. It was not as if he didn't know that temper of Su Luo's. How could that nature be one to voluntarily offer herself to be a blood donor in order to survive? This point absolutely wouldn't work. Mo Zixu understood everything with one look at Mo Yunfeng's expression. The corner of his mouth lifted up indifferently: "If she doesn't know how to appreciate this honor, the elders will use their minds to control her, after she becomes a puppet, how could there still be leeway for her to choose? Mo Yunfeng's heart slightly tensed, it seemed the worst thing would still happen. He hesitated a while, then still asked: "If Grandmaster Rong Yun finds out……then what's to be done?" Grandmaster Rong Yun's strength was deep and unmeasurable, even their Venerable Ancestor's strength was beneath his. If Grandmaster Rong Yun flipped out, then the entire Central Palace would suffer a calamity. Who knew that a strange smile would unexpectedly appear on Mo Zixu's face: "The Venerable Ancestor is currently in seclusion, cultivating at a critical juncture. If this time, he can successfully break through, why would he fear Rong Yun?" Mo Yunfeng suddenly saw the light. No wonder Honorable Father didn't have that former kind of reverence for Grandmaster Rong Yun as before. So as it turned out, the Venerable Ancestor was close to breaking through! After he realized this point, Mo Yunfeng, filled with self-confidence, carried Central Palace's last Divine Spirit Fruit and went to the side courtyard. This Divine Spirit Fruit had been stored for a century and was pa.s.sed on as a treasure from one generation to another. Now, it had already been pa.s.sed on for four generations. Seeing Mo Yunfeng come over, Beichen Ying coldly shot him a glance and said with a ghost of a smile: "One doesn't visit a temple without a cause (1). What, our honorable Second Young Master Mo has instructions again? This time, you actually didn't bring a bowl?" Mo Yunfeng smiled faintly: "Brother Beichen's words are too severe, the matter before was Central Palace lacking in manners first. Con't you see, I've come here now to compensate you guys?" "Compensate? Our family's Luo Luo's blood is the number one most precious divine medicine in the world, what things could you possibly bring to compensate her? Bringing your family's Divine Spirit Fruit as compensation is barely good enough." Zi Yan, panting with rage, glared at Mo Yunfeng and coldly smiled. Back in the days, Central Palace's venerable ancestor's cultivation was really exceptional. From the centermost of the deep forest, he moved the sole Divine Spirit Fruit Tree and planted it in Central Palace. Moreover, he even set down a matrix, over these countless years, the Divine Spirit Fruit had given rise to countless experts for Central Palace. If not for the medicinal effect of the Divine Spirit Fruit, Mo Yunfeng wouldn't be promoted to the ninth rank at only twenty years old, that made people look up to him to such a high degree. Beichen Ying's smile was as dazzling as a summer flower, his eyes glittered, looking at Mo Yunfeng with a slight smile: "What Zi Yan said is extremely correct, only your family's Divine Spirit Fruit has enough qualification to compensate her, hand it over." While speaking, Beichen Ying spread open his palm. Each and every one of them was a bandit that wouldn't eat a loss. Mo Yunfeng cursed secretly in his heart. But facing this group of bandits, Mo Yunfeng didn't have any way to deal with them. He harshly took out the brocade case from his arms and threw it into Beichen Ying's palm. 1) One doesn't visit a temple without a cause – a Chinese saying for 'visiting with an ulterior motive'. 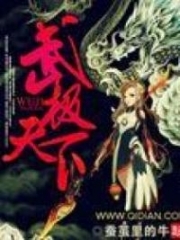 You're reading novel The Demonic King Chases His Wife: The Rebellious Good-for-Nothing Miss Chapter 1226 online at LightNovelFree.com. You can use the follow function to bookmark your favorite novel ( Only for registered users ). If you find any errors ( broken links, can't load photos, etc.. ), Please let us know so we can fix it as soon as possible. And when you start a conversation or debate about a certain topic with other people, please do not offend them just because you don't like their opinions. You're reading The Demonic King Chases His Wife: The Rebellious Good-for-Nothing Miss Chapter 1226. This novel has been translated by Updating. Author: Su Xiao Nuan,苏小暖 already has 9593 views. Current Time is Apr-21-2019 02:24:32 AM.